We live in the lucky circumstances to be able to afford a gym membership. Others or not so lucky. They work with old rusty weights and when they don’t have the money to work with iron or scrap metal they use stone or cement. If you are determent enough to want to build that strong body you will find a way. I found it very inspiring to see how all these different people from inmates, soldiers to people that live in a ghetto manage to work-out. Just like I liked to see that outside of the world famous Venice Beach others where determent to build such outdoor or beach gyms. I noticed more and more people build a backyard-gym and many cities are convinced that this form of recreation is suited for their locals or tourist. On the picture a beautifull girl working out at the Kachalka Outdoor Gym in Kiev. More and more people are enjoying the outdoor gyms because it provides them a different sense of relaxation as they enjoy nature as they exercise. Outdoor gyms are popular in many countries such as China, Brazil and America to name just a few. The outdoor gym is the perfect way of combining the physical intensity of a proper workout with the joy and harmony of being out on a beautiful, sunny day. More and more people are beginning to enjoy the benefits as outdoor gyms. These outdoor gyms are continuously increasing both in number and in size. While some are created to enable people, locals or tourists to enjoy a work-out in the open air sometimes with a breathtaking view. Numerous studies have indicated that weight training exercises that recruit large muscle masses (i.e. the compound exercises) result in the largest anabolic hormonal response by the body. The proportions of anabolic hormones (mainly growth hormone and testosterone) secreted are thought to be functions of factors such as total muscle mass recuited, exercise intensity, rep count and rest between sets - with lower rep sets and longer breaks between them favoring testosterone release and higher rep sets and shorter breaks between them favoring growth hormone (hGH). The more total muscle mass involved, the higher the hormone levels rise. For this reason, Squats will cause a greater hormonal response than Bench Presses. These are exercises that involve more than one major muscle and involve the movement of move than one joint. Examples would be Squats, Bent-Over Rows, Bench Presses, Military Presses, and so on. The collective experience of generations of weight trainers teaches that these are the most effective movements for producing gains in strength and muscle size. Compound exercises are recommended on and off cycles. They are strength building exercises. when off the anabolic steroids they can increase your output of testosterone and growth hormones naturally. That’s why Old School Bodybuilders used this trainings regimen. The dead lift for example hits just about every muscle in your body. So it strengthens all the muscles it hits. The importance of it while on a cycle is because the steroids will increase the strength of a muscle. While on the anabolic steroids the strength increases so fast tendons and ligaments find it hard to catch up because there are virtually no blood vessels in them. To do a compound exercise it hits also the stabilizing muscles around the major muscles and it turn helps take stress off the tendons and ligaments. It practacly strengthen the exercised muscles and all surrounding muscles used to stabilise the body when by example standing up when dead-lifting. Nitric oxide (NO) has a vasodilating effect on muscle tissue that is very similar to what occurs in the genital region when one takes Viagra or Cialis. How important is the pump for muscle growth? Let's look at an example: Many Olympic weightlifters and powerlifters train for increases in muscular strength and power... but don't have the muscle mass of most bodybuilders. Why is that? It's simple. Their style of training does not produce a pump like the training a bodybuilder does. They get stronger... but not a lot bigger. That's why bodybuilders have known for years that consistently getting a good pump in the gym is crucial for muscle growth. 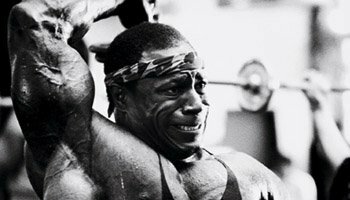 Those who do not get a pump from their training are unable to attain their full size potential. Is muscle soreness needed for growth? Is Soreness needed for Growth? The soreness you feel after a workout essentially comes about because you damaged your muscle fibers. Exercise physiologists refer to this as delayed-onset muscle soreness (DOMS), and it typically becomes most noticeable a day or two after a workout. What happens is that micro-tears in your muscle fibres generate calcium leakage and an accumulation of histamines, potassium, prostaglandins and local edema (accumulation of fluid) in the affected muscle. The edema stimulates the nerve endings, causing the sensation of pain.The damage to your muscles and subsequent soreness occur to a greater degree as a result of the negative (eccentric) component of an exercise. That may be why you don't always experience the same level of soreness; not all exercises place the same type of eccentric stress on your muscles. Not only is stretching important for flexibility, it is CRITICAL for massive, rapid muscle growth. As a kid, I was so awed and inspired by this picture that I had to cut it out of the magazine, hang it on my basement wall, and immediately start doing Preacher Curls (confident of course that I would one day become Mr. Olympia too!). Back in those days, bodybuilding equipment made for a home gym hardly existed and I had to improvise by doing my curls over the back of an incline bench with a single dumbbell at a time. While that version of the exercise was crude and very uncomfortable, I immediately realized that this was the strictest and most productive version of a curl that I could ever do. To this day, I train my biceps exclusively on a Preacher Curl Bench in my own gym. Because my front delts became so strong from bench pressing, I have trouble isolating my biceps with almost any other type of curl. Doing standing dumbbell or barbell curls, or even incline dumbbell curls, my front delts want to take over and swing the weight forward, robbing my biceps of any productive exercise. Only this type of bench eliminates this problem for me and allows me to lift meaningful weights at the same time. As a result I feel the exercise directly in my biceps and not in my front delts. Beginners usually do not need such advanced concepts simply because as a beginner, pretty much anything will work as it’s new to your body. You don’t need to bump up the intensity because the workout itself is usually hard enough. But for those who have worked out for quite some time, doing a simple routine doesn’t cut it. And for those who are entering a competition and may be on low carb, sub-maintenance calories and doing cardio twice a day, adding more and more weight is easier said then done. Where’s the energy? That’s where some advanced concepts come into play. Muscle Volume Training for Muscle GrowthSprechen sie Deutsch? Translated, that means do you speak German? You don’t need to speak German to master German Volume Training. You only need to master your threshold for pain. Because German Volume Training is pain. It’s an insane and effective method of shocking your muscles. Call German Volume Training the slumpbuster. If you’re in a rut, seeing no muscle gains, and need a dramatic change, look no further. Consider your muscle building slump to be over. Back when I was competing the guy with the most envied triceps in the game was Mike Christian. His triceps were very impressive--big, full and cross-striated. His were the standard by which all other triceps were measured, and I made it my goal to match or exceed even his level of development. Of course, each of us must work within our own genetic constraints. Christian happened to be blessed with great genes for triceps, and he certainly made the most of them. I figured my genes weren't too shabby, either, and that with the right amount of effort, I could draw the judges' attention away from his to my own. Some physicians condemn the squat, citing how destructive they are to the knees, despite scientific studies and millions of personal experiences to the contrary. One sports medicine doctor explained to me why squats were considered to be bad for the knees. He was actually telling me this between his sets of squats! Since sports medicine doctors only see people with injuries one can guess why they may have developed this belief. The individuals they treat certainly do not constitute a random sample, let alone a representative population which, as any scientist knows, is essential to even attempt to formulate inferences.